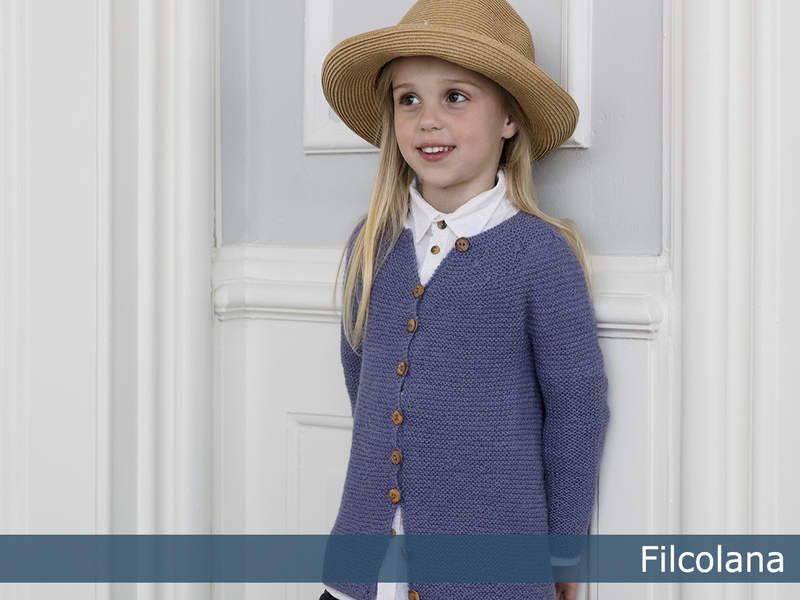 A warm cardigan is a wardrobe essential. 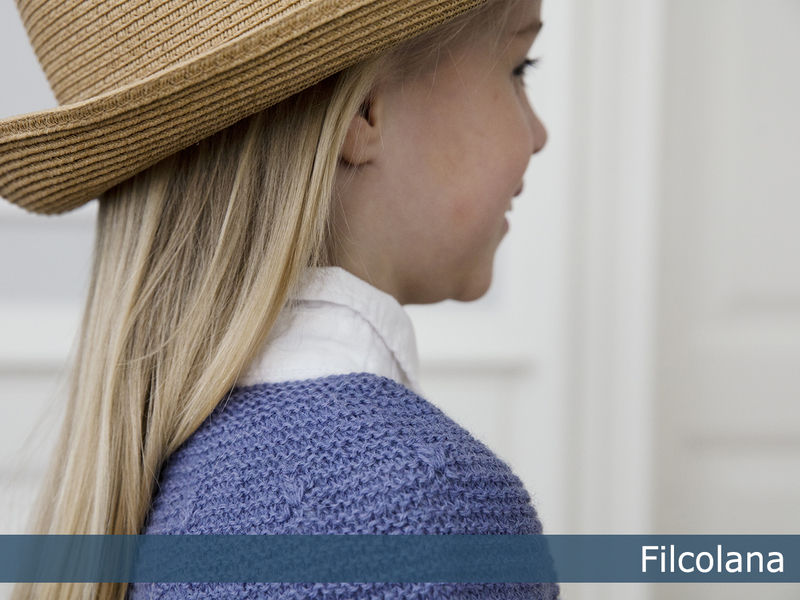 Ellinor has a pretty feminine look with a round yoke and a box pleat between the shoulders in the back, giving it a lovely A line shape. The yoke is decorated with rows of little buds shaped like tiny tulip leaves. 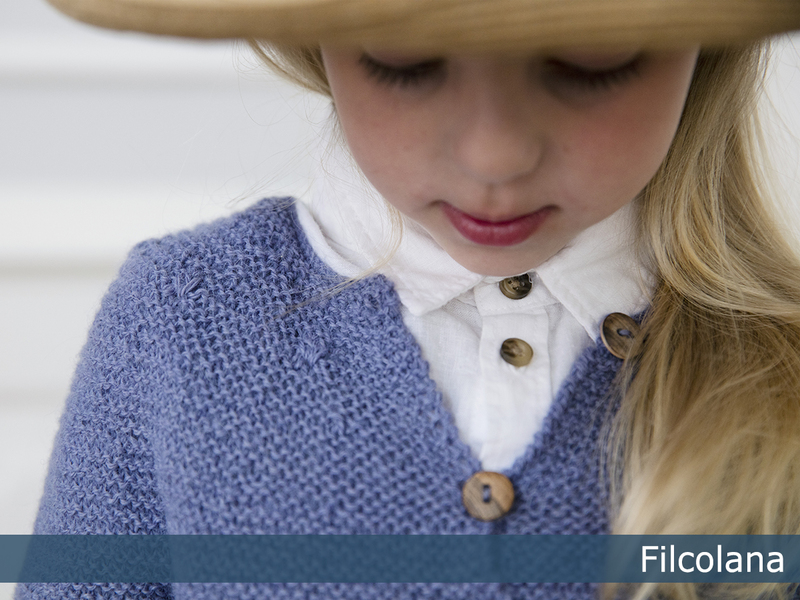 ”Ellinor” is part of Filcolanas ”Colours of the Scandinavian Summer” collection. For this collection our team of designers have found inspiration in the incredible Scandinavian light and colours in the works of the Skagen Painters.